Ragy is a technology visionary, entrepreneur, and investor who has played an instrumental role in the evolution of two business-critical channels for the enterprise: social media and email. As founder and CEO of Sprinklr – the world’s most complete enterprise social technology serving more than 1,000 enterprise brands globally – he is empowering companies to re-imagine their customer-facing operations to manage consumer experiences across every touch point. Prior to founding Sprinklr, Ragy was the president of Epsilon’s (NYSE:ADS) Interactive Services from 2006 to 2008, and the CTO of Bigfoot Interactive, an email marketing leader that Epsilon acquired in 2005. 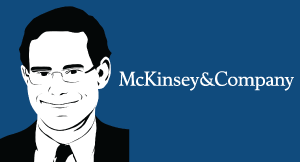 Michael Krigsman: Welcome to Episode #221 of CxOTalk. I’m Michael Krigsman, an industry analyst and the host of CxOTalk. Today, we are talking about the future of digital marketing, and our guest is Ragy Thomas, who is the founder and CEO of Sprinklr. Ragy, how are you? Thank you for being here! Ragy Thomas: I’m wonderful, Michael! Thank you for the opportunity to be here. Michael Krigsman: So, Ragy, please tell us about Sprinklr. You’re the founder and CEO; tell us what you actually do as the CEO? Ragy Thomas: [Laughter] Well, I’m the guy, as I say to everyone at my company and outside; I’m the guy that’s responsible for everything that goes wrong with Sprinklr. Ragy Thomas: That’s going well. I have fourteen hundred fantastic people who know what they’re doing, and I’ve been doing it for a long time. I have to make sure that I don’t screw up! Michael Krigsman: And I know you have maniacal attention to customer details as well; customer delight. Ragy Thomas: That’s the primary piece on which Sprinklr was founded; that in the new world people are connected and what they think matters more than what you think of your company. And, it will be disingenuous of us to not live that way every day. Michael Krigsman: So, tell us about Sprinklr and what the company does. Tell us about what the focus of your products is. Ragy Thomas: Well, Sprinklr today is probably known as the most complete enterprise social media management platform in the market. What that means is for very large companies, global brands like Nike and Verizon and JP Morgan-Chase, they do their marketing, advertising, research, commerce, care, all customer-facing functions across twenty-four social channels on Sprinklr’s integrated platform around the world. Michael Krigsman: So, you say twenty-four different channels; those are things like Facebook, Twitter, and so forth? Ragy Thomas: Yup. There’s a long list, and the list keeps increasing. Michael Krigsman: And, when you say social media management, what does that actually involve? What does that entail? Ragy Thomas: It basically involves three things. The ability to reach your customers, the ability to engage your customers, [and] the ability to listen to your customers. And, what we really do is give you the ability to reach, engage, and listen to your digital customer across channels. Michael Krigsman: So, you are ultimately, then, trying to create a - is it fair to say - a seamless social experience for these brands to engage with their customers? Ragy Thomas: One hundred percent. So, if you noticed, I was very careful in prefacing what I said today because that's not what Sprinklr really is. I think that was our ticket to entry, that really allowed us to become the company that we are, but just like Google started with search, or Apple started with a product, I think our destiny in what we're trying to solve is a much bigger problem. And, the problem that we are trying to solve is how do you, as a large company, manage your customer experience across your entire company? Because, we have a fundamental problem there, right? Customers form their experience, form their perception based on their experience which really cuts across everything they do with the brand, from the product, to the service, to the sales experience, and the brand itself and all its communication. That’s the trick. And the customer allows them control. And, if their perception goes south, you’re going to get hurt. But today, if you’re inside the firewall of a large company, Michael, whose problem is that? I mean, if I’m in sales, I’m like, “It’s not my problem alone!” If I’m in marketing, it’s not my problem alone. If I’m in care, I’m incentivized to bring down my customer care cost: “How quickly can I hang up on you?” So, it’s like it’s everybody’s problem, but it’s nobody’s problem. That is the landscape that we’re living in. Michael Krigsman: That is definitely a much larger, broader challenge for companies than managing social media. And so, you see your mission ultimately as the creation of that customer experience throughout the company. Ragy Thomas: I’ll give you our mission as we declared it internally. Our mission is to enable large plans to be delightful and expedient across channels all the time, around the world. Michael Krigsman: And, what are the challenges that companies have in relation to creating these positive experiences for their customers? Ragy Thomas: Michael, you’re going into the territory that I told you that we may get to, and this may be very well the question that’s going to prompt me to do that. Michael Krigsman: Hey, it’s the territory that matters, right? Michael Krigsman: I mean, this is what everybody cares about! Ragy Thomas: Because, they know why are crying, but they don't know how to talk about it, because it's just so overwhelming and they feel paralyzed; they can't change it. If you were in the rain, and you don't have an umbrella, and you try to do this, you'll get wet anyway. So, I talked to a bunch of executives, and I could feel their pain, and it just … This morning, it made me angry. And you know the pain that they’re going through? They’re not alone. Their pain is everybody’s pain. Ragy Thomas: … Anybody, anybody … Sorry, I have to tell you about this … Anybody inside a large company that deeply cares about their customer, their consumer, is in that pain. Anybody who cares, they walk around not being able to fight the system. They want to do great things for their customers, but they can’t. They’re in the system. They feel helpless. That’s what I’m talking about! That’s the pain! Michael Krigsman: So the pain is the desire for good-willed people, people of goodwill and good intentions inside the large companies who want to do the right thing for their customers, but are unable to. So, why aren’t they able to? What’s the obstacle? Ragy Thomas: [Sigh] I could attend to something before I answer the question. The pain will come … I’m the founder of the company, and I’ve founded many companies. Did you know that all companies start out with great intent, but get [it] from a designer, to make shoes. The founder starts out with a lot of purity of intent. He wants to do good things, she wants to change the world. Somewhere along the line, what they’ve founded becomes very popular. Their company grows. Now, you’ve got more product lines, more businesses; you’re launching in multiple markets. I’ve got marketing; I’ve got customer care. And now, I’m growing! But you know what happens? The founding intent gets diluted. Finally, when you have a hundred thousand employees, Employee Number 105,423 is sitting in a call center, and she wants to go home. It’s five o’clock. She’s got to go home. She’s not worried about the customer. So, you keep deluding the intent of the purity, the emotional aspects of the founder’s intent. As you scale, you create all these silos. And, everybody can relate to the collective losing of that intensity, that desire, as the company scales; that you feel helpless. And I say, being a student of business in creating great things for a while, for me, the definition of luxury is to create a little a bit of himself or herself in the product, so that the consumer of the product can feel it. Michael Krigsman: Okay. So, the silos create a sense of helplessness, and that comes about because, why? Why does that happen? Ragy Thomas: Well, it’s not just the silos. So, the pain I went through yesterday, just made me angry today. Today, on your show, I’m declaring war! Michael Krigsman: War on what? Ragy Thomas: On behalf of anybody inside a large company that deeply cares about their customer, and feels helpless, on behalf of human beings everywhere who feel that way, Sprinklr, today, marks 2017 with war. We’re declaring war on five things: The five enemies that are getting in the way. Michael Krigsman: Go for it! Ragy Thomas: Number One: We’re declaring war on disjointed data. Ragy Thomas: Data everywhere, they don’t talk! I got my web system. I got my point-of-sale system. But, I don’t know who these human beings … I can’t know this person! I don’t know what she’s thinking, or how she’s feeling! But I know, I have all the data! But, they’re not together. Michael Krigsman: So, you’re seeing [...] fragments? Ragy Thomas: Data is disjointed! Okay? I’m declaring war on that! Michael Krigsman: But, the question is, of course [...] how do we do that, right? How do you declare war on that? Ragy Thomas: I’m about to tell you, but I’m not ready to go there, yet! I’ve got more people I’m declaring war on. More things! Michael Krigsman: Okay, go for it! Ragy Thomas: I’m declaring war on disparate processes. Processes that are not aligned around the customer, okay? Ragy Thomas: Number Four: I’m declaring war on point solution tools. Tools that do one thing. Ragy Thomas: They’re evil! Evil! They’re getting in your way! And Number Five: I’m declaring war on unintelligent technology. That’s why you can’t scale. Today, on your show. That’s what I’ve done. Michael Krigsman: Okay. So you are declaring war. And, what does this mean? What does this mean for Sprinklr, and for what you’re doing, yourself, and for your customers? Ragy Thomas: It really doesn’t matter what it means for Sprinklr. What we see is a world where brands that care about their customers are able to provide delightful experiences every time. That’s what we care about! That’s the dream that Sprinklr was founded on. Michael Krigsman: … inside large organizations. Ragy Thomas: Huge, Michael. Huge problems. You know, it exists, right? Everybody knows what the problem is. I'm not going to beat a dead horse. Everyone knows what the problem is. You know, let’s talk about this. Every system that you have that touches the customer is keeping a capsule of data about the customer inside it. It builds on like stupid, old technology. Relational stuff. It’s just product kept there, not released to anyone. Ragy Thomas: And, I will make it available to the user sometimes, if you log back in to engage the customer on that channel. You know how we’ve tried to solve it for twenty years, thirty years? You know this is what CIOs do, and I love them. They’re a large industry. We talk about big data. We say, “Extract all this and send it to my data warehouse,” right? Ragy Thomas: I’m here to ask you, what the hell are you doing? Why are you sending all the data to the data warehouse? To run the [...]? What are you doing with those reports? They’re not actionable! You’re not bringing it back! So, it’s a lot of activity, and I’m not sure what the freaking outcome is! Michael Krigsman: But, Ragy, how do you address that? These are such … When you get to these large companies who are your customers, these are deep, DNA-level problems that exist. Michael Krigsman: Now you disagree? Ragy Thomas: Michael, I've been doing this for a long time. I will only talk about a problem unless I knew I had a point of view on the solution. The answer has to be that you've got to think of almost creating customer operating systems. You've got to liberate the data. You have to liberate the data by opening every system up and allowing data to flow through. It has to be architecturally solved with the notion of the customer operating system, and [it has to] have the conduits for this data to go back and forth. It has the architectural support to connect all these systems, right? You've got to think about an integratable uber-next-generation customer experience management architecture. Michael Krigsman: And so, what does an architecture of that type look like? Ragy Thomas: [Laughter] Now, you’re going to make me talk about Sprinklr. I was just going to talk about … But, I’ll tell you what you need to know. Michael Krigsman: But, don’t give us a pitch about Sprinklr. Ragy Thomas: Dude, if you ask me; if you pay me, I don’t pitch. Just stop pitching. I did that a few years ago. People said, “Pitch me!” I said, on what? Michael Krigsman: Okay. Tell us what this customer experience architecture needs to look like. Ragy Thomas: So, the way to do that, in my mind; and we’ve done it a few hundred times for customers, so I know it works; is you isolate every element of customer experience management into channel-agnostic, enterprise-level capabilities. Let me give you an example. You create really pure content management capability, such as social assets, version them. That sits. All of this entire framework has to sit on an enterprise-federated governance capability. So, every team can be brought into this architecture. Every team can retain its independence, and architecturally, the system supports collaboration escalation coworking notification alerting. So, we’ve invented concepts like “message cues,” “escalation cues,” “suggestion cues,” and, the architecture … You know, once you define these spaces in groups of these spaces dynamically, so I can look at every team in South America or marketing teams around the world, and then basically, you have these cues and visibility that control what you see. Does that make sense? Michael Krigsman: Yeah. We have an interesting comment from Arsalan Khan on Twitter. Michael Krigsman: … who makes the comment that "It seems that customer experience is, in a sense, an excuse to transform the company," because, in order to accomplish the goals you're describing, it seems like you have to go deeper. It's deep inside the culture of the organization, so simply layering technology is not going to solve these problems. So, I think that's his point. Ragy Thomas: Michael, he is absolutely right. One hundred percent. This is such a huge problem. Huge problem! That's why we have to be at war with these systemic issues. This is a huge problem. This is a paralyzing problem. This is what, and you know the stats that talk about 50% of the Fortune 500 companies have gone away, and 40% of companies that are left will go away in the next twenty-five [years]. This is from 2000 - 2025. Ninety percent of the world's biggest companies are going to turn over. This is a huge problem. This is a huge problem that the industry is not coming together to solve, you know? We are organizing … Sprinklr is organizing a digital transformation summit with the explicit charter, only one agenda: let’s go co-create this industry. We can’t wait for this! So, this is not a Sprinklr agenda, the Sprinklr customer summit, this is a digital transformation summit that we are bringing together with brands and analysts, and experts, and technologists together. Michael Krigsman: You know, it’s very interesting. When I speak with execs from these large brands who are talking about digital transformation, this cultural piece comes up in every conversation. Michael Krigsman: And so, how do you get this ball rolling that requires both that cultural, organizational change dimension, as well as the technology to enable the communication across silos and boundaries that you were describing earlier? Ragy Thomas: You’ve got to make some really gutsy moves, man. We’ve got to make some gutsy moves. CEOs have to drive those hands-on. It’s not gonna happen organically, okay? And, here’s the technique. The technique to do that … Actually, you just went to point number two, right? Which is, “We declare war on siloed teams and team structure.” So, let’s solve that. That is very simple. You know how large companies are reorganized around “go to market”? They’re organized around countries; they’re organized around product lines. We have got to reorganize the company around the customer. That’s your answer. It sounds easy. It’s very hard to do. Everybody knows that, but you have to re-org around the customer. And, by the way, I'm not going to name the company, I'm coming off an entire day of meetings where every other person that I spoke to is brand new and has a new role. And, I was trying to make sense of it, because everyone kept telling me, "Well, they were trying to do this," and in the end, I met one of the execs who's running a very, very large chunk of the entire revenue stream. And I said, "Okay, I get it! When I piece it together, you just reorganized your company around the customer." And she goes, "Yes!" Michael Krigsman: Okay. So, we need to drill into that, but I want to remind everybody that you’re watching Episode #221 of CxOTalk. We’re speaking with Ragy Thomas, who is the CEO and founder of Sprinklr. And, there is a tweet chat going on right now, and I’m talking especially to the folks who are watching on Facebook. Come over to Twitter, and there’s a tweet chat going on with the hashtag #cxotalk. So, Ragy, this issue of transforming the company around the customer is very complicated, very difficult to do. Michael Krigsman: In your experience working with a lot of brands, what are the attributes of the company, and the activities of the ones that are doing this successfully? What is their magic, or their special sauce? How do they do it? Ragy Thomas: There are, in very many companies that I can put and go […] watch how they’re doing this. Because, as you and I just talked about, it’s a very large problem. There are companies that are doing a really good job getting there, including many of our customers, and if you look at companies like Nike and McDonald’s, if you watch their […] internal and external moves, you’ll see how they’re really fearlessly forging ahead while others are being left behind. If putting together … If we go back to the five principles here; if we go back to the third one, the putting together [of] customer-centric processes, and tying systems together that allows data to flow freely and get into the hands of the point-of-contact, they’re doing a lot of these things. But, it’s going to be a five-year project for large companies at the very, very minimum to pull this off. So, if you don’t do it, well, look, it’s going to be a tough ride. And, this is not just a bad thing, right? The confluence of everything that's changing really presents unbelievable opportunities. And, you look at companies like Uber, and AirBnB, and all of the companies that are coming out of nowhere; Facebook, Amazon; look at the scale of these companies. The opportunity is enormous when you solve this and solve this right. And, the consequences are extremely bad, and I would say extinction is probably what I'm looking for. You really have to start moving in one of these directions. Standing still is, you're going down. Michael Krigsman: Yeah. There's no doubt that there's a tremendous opportunity for companies to undertake this, but I think that … Where do you begin? If a company wants to do that, somebody's listening, and they say, "Yeah, this sounds right," how do you start? What do you do? Ragy Thomas: You declare war. Ragy Thomas: Yeah, you declare war. You join what we call the “digital revolution.” You’ve heard about “digital transformation.” Screw the word “transformation!” It has to be “revolution.” The CEO has to declare war on the five things I talked about. He’s got, and we’ve got to join. Let’s go! And, this has to be … It’s going to be painful! Because, people have not been doing what we’ve been doing, the way we’ve been doing it, for decades. You talking at the root of these companies. “Organize from the customer,” what does that even mean? Michael Krigsman: That’s right! Exactly! What does that even mean? When one says “organize from the customer,” what does that even mean? Ragy Thomas: I’m not here to give all the answers. I don’t know all the answers! What I know is if you bring the smartest people on the planet together, what I’m trying to do in Nashville on April 10th, by the way, quick plug; if you matter, if digital transformation, or if we think about it, “digital revolution” at the enterprise level is important to you, you’ve got to be there. Look us up, find it, do what you need to be there, because we’re bringing […] together amazing people to solve that problem. We don’t have the answers. We’re not even solving it fast enough. We’re not coming together. I don’t know what we’re waiting for. CxM [customer experience management] has to be an industry. It has to be birthed! We have to co-create that industry. What are we waiting for? Michael Krigsman: When you talk about customer experience, what does that actually mean to you? What are the components of the pieces of customer experience? Ragy Thomas: As a customer, it should be very obvious. I’ll walk away feeling really good. And, who is the customer? When we use the word “customer” at Sprinklr, we put an asterisk next to it every single time when we want to; we’re probably not doing it religiously. A customer is anyone who's interacting with your brand, okay? So, your investor is a customer; someone who's looking for a job in your company is a customer; a partner is a customer, and an employee is a customer, right? So, you've got to make them [happy]. People will never forget how you made them feel. It's very subjective in their perception, but that's what the outcome is: being able to do that consistently, every time. It's great experiences at scale. Everybody can do it one-off. You go to the store, a person is nice, they had a great experience. Can you do it consistently, every time, across every channel? They ask me, “What capabilities do you need to be able to do this,” right? And, I’m going to simplify, right? If you’re thinking as a brand, and you think about what capabilities do I need, it’s super simple, man. You need the ability to reach your digital customer. You need the ability to engage your digital customer, and you need the ability to get this. This is what a lot of people aren’t doing: listen to your digital customer. You have to almost start being human! That’s what we do! Michael Krigsman: So, you’re trying to … So, the brand taking on a human characteristic? Ragy Thomas: Yes. You have to make people feel good, and you have to work across all your silos. The processes have to work to get the data connected, and it has to come together with the intent of making the person feel special. Delight that customer. Not “satisfied.” What is “customer satisfaction?” That’s like asking a child to go get a B in her exam! “Delight” should be the word. Michael Krigsman: This is really interesting. So, this notion of brands needing to make their customers feel good, and feel special. Ragy Thomas: Only if you want to survive and thrive! Ragy Thomas: It’s a choice you’ve got! You don’t have to! You can milk your market and start becoming a relic. Michael Krigsman: So, again, I keep coming down to how do you do this, because inside … I mean, this requires a different kind of mindset, and for a lot of companies, really like training, essentially. Ragy Thomas: Look. We’re not going to solve how to do this in forty-five minutes, right? So, I’m going to give you a simple pile of the way we think about it. Ragy Thomas: …starting with leadership, right? It's always people, processes, and technology. It's simple. Every change is powered by these things. So, on the people side, [it] starts with leadership. And, if you are a CEO for a large company, sir, madam, you can't delegate this. I'm so sorry. You can't delegate this. And, this is so you, and most people running large companies didn't grow up with this. We grew up in a different world. So, you've got to go back in that student mindset, and if you need statistics to wake you up, I can give it to you. By 2020, 50% of the workforce is going to be millennials, […] natively digital folks. Are you going to reach them with direct mail, and email, and the web? They don't even email! They don't even text message people. So, you've got a wake-up call coming right there with the 2020 millennials that you have to lead. You have to put people who tie into it. Look. We don’t have a ready-made solution. It’s not even an industry yet. So, let’s go co-create that. It’s a problem that big enough to solve. So, that’s the people aspect. Sell your executives, align them, replace your executives who can’t buy into it. Get them to work together. You’ve got to propagate it back. Now, it starts with understanding your customer's journey, creating personas, understanding the journey that your customers are going through with your brand. And the journeys are not your marketing journeys or your sales journeys. It's just one piece of the puzzle. Your journeys are across everything, right? Sometimes your journey starts with one of your competitors, because that may be where customers are going first. And, your journey's definitely not just digital, right? Or offline. Just look at the world from your customers' [point of view]. So, start … Once you do that, it's going to be a long process to get your team in order, start looking at your company from your customer's perspective and start aligning your processes. And, Number Three, you now know probably why Sprinklr's going to be a very, very, very large company because this need is universal. You've got to go get your stuff in an integratable, collaborative, unified platform that can service a foundation. Look, that's a mouthful. That's a lot of jargon, right? So, I'm going to tell people, "Here's an easy way to remember it." Michael, can you spell, “iCup”? Ragy Thomas: I’ll just tell them. When my daughter was nine, she’s thirteen now, she came home from school one day, and she goes to me, “Dad, can you spell iCup?” And I go, “I-K-U-P.” She said, “No!” And I said, “I-C-U-P?” And she started giggling for twenty minutes. You get it, right? So, I-C-U-P.
You need something that’s integratable. You can do things that are already working: your call centers, your website. Legacy systems, right? You need a platform approach that’s integratable. You need a platform, you need the capability to get people to collaborate. That’s the “C.” You need a unified approach. Not point solutions, a unified approach to things that work with each other. And then, you need a platform. Not point solutions, right? 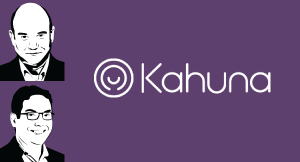 Integratable, collaborative, unified platform. So, on the technology side, you start with an architecture. You start with an architecture. It’s like … We’re like … You know, the way to think about it; and the way I think about it; is in the 1980’s, we had all kinds of point solutions for inventory management, and distribution management, and stocking, and shelving, and all of that. But by the end of the day, what SAP did was they coded for ten years, and they created an architecture, and ERP was gone, right? And then, you have the same product idea everywhere. So, you need an architecture that allows you to have the same customer idea everywhere and allows you to have the same content idea everywhere, and normalize it across all the point solutions that are in your enterprise. So, that's on the people side, that's on the process side, and this is on the technology side. So, that's how I'd see it. Michael Krigsman: In a sense, you’re trying to create, I hate to use the term, but almost an ERP system for customer experience. Ragy Thomas: Yeah. I think of it as a "customer operating system." People say a "system of record," I think that's a jaded term. That means you're capturing the data. Okay, cool? That's great? That's awesome? You need an operating system, something that allows you to get a handle on experiences that your customer is going to have so you can program. You see, no system is ever going to solve the problem, right? The brand should want to create, should want to delight the customer. It starts there. It starts with the intent and the desire. But, without solving all the "five enemies," as I call it now, you're not going to win. Ragy Thomas: Forty. We’ve been coding nonstop, hundreds of engineers. There were times when we would do shifts, and coding 24/7. In our headquarters, in our development headquarters, we have a kitchen, we have chefs, I mean there is food brought to your desk. We were just coding away to glory, like furiously. Because, this is a huge problem. You’re not going to be able to get to an easy solution without a lot of hard work. It’s architecture. Michael Krigsman: [...] What is that architecture? Can you elaborate on that a little bit more? Ragy Thomas: [Laughter] It's tough to do that. We have a paper this big that we show clients when we describe the architecture. Basically, what it is, is all these modules. These modules are basically on the outbound side: content management, campaign management, publishing, audience management, [etc.] On the inbound side, it's listening, it's advocacy, it's CRM - or, what's known as "CRM," we call it "audience," and intelligence. And all these modules sit there on the top from inbound and outbound, and at the bottom, you've got enabling capabilities like governance, like analytics, like automation - we call it "process engine," "dataflow engine," then we've got "integration engines." So, that's the core capabilities that support everything. And then you've got inbound modules, and then you've got outbound modules, and there's a collaboration between everything. So, for example, your content storage universe, alright? So, what we call our product is “experience cloud.” So, when you’re on the experience cloud, your customer service person can see all the marketing coupons, because it’s just the same store. Your customer service person can see the campaign that’s currently running. And, your marketing person can now just, because it’s a collaboration bed built in, the marketing person can route a customer care issue that’s serviced on social to the right person and escalate it to PR at the right time. So, that’s the architecture where … You’ve got to almost visualize this as an integrated circuit board, where you have all the chips and you have all the connections going from every one to each other. So, think about your customer care audience database. That’s the same audience database that’s powering your market share. So, literally take detractors who are upset right now, suppress them from an advertising campaign. So, these are the kind of things that are only possible with an architecture like the one we are advocating. Michael Krigsman: … where you have a platform where all of the data is connected and linked? Michael Krigsman: So, are you looking to basically cover all of the interaction points between a brand and its online, digital customer? Ragy Thomas: No. We cover, like you said, twenty-four social channels. There are companies that use those to publish the mobile apps, to publish for their own website, so there are all these capabilities. But, we’re not here to replace everything. We are here to take care of all the mobile social noise. That, somebody’s got to do. You don’t want to get into that. That’s painful. We’ve solved it, everything is changing from every channel, so you’ve got to have one, single way to do this. The rest of the systems that are working, your call center's working fine, dandy. The website's probably working dandy. Your email system is probably working dandy. Your CRM system is probably working dandy. Your data warehouse is probably working dandy. So, we just connect to all those systems. You may have an in-house content management system, so the moment you plug it into Sprinklr, those assets are beginning to flow into the Sprinklr system, which now, because it's wired everywhere else, you can now distribute it. You can connect your web system and your email system to Sprinklr. Everything gets isolated into assets and content and campaign, the flow. So, you can just send the activity back and you can pull it from the other. Does this make sense? Ragy Thomas: That’s how you solve it. Ragy Thomas: It took me … I’ve been trying to do this for going on, I would say, seventeen years. I’ve finally figured it out, I think. Ragy Thomas: And it’s working for a hundred thousand times. Michael Krigsman: Is that the number of customers that you have? Ragy Thomas: Yeah, I mean depending on how you look at it, we work with over twelve hundred brands. Most large companies in most industries are clients right now. It’s, again … We’re going to start marketing the company to reflect what we really do, but it’s just being driven by the power of the vision and the product, and we’re still … I think this is the year I think we’re going to come out. I know, that sounds weird. But, this is the year we’re going to come out. Ragy Thomas: … customer experience management platform, and as a social media company. That is our ticket to entry. That’s how we got here. Ragy Thomas: That’s right. That what a lot of people, when they look at characters that are associated with Sprinklr, you know folks like John Chambers, and iconic …you know, Wellington and Tomasic, what’s going on? I mean, it’s a vast social media company. We’re the world’s first customer experience management platform, and there’s not one company on planet Earth that doesn’t need a customer experience management platform. Michael Krigsman: Do many companies buy all of these forty modules? It’s such a large number. Ragy Thomas: They don't, they don't. And they don't need to because you can't. You think of this as a treatment regimen. You can start taking pills for a headache, that's fine. But, if you're buying those pills from Sprinklr, then all the other systems, you know all the other pills they decide to work with [are intended to] solve the underlying, much bigger problem. So, you can just buy a listing, you can just buy publishing, you can buy advertising, you can buy us with just customer care, you can buy us for automation; that's how customers typically … You know, when we start with social, or publishing, or listening, or advertising, but then they keep growing and do it. And then, the truly … to understand and appreciate that Sprinklr can be the platform that can keep pace with growth. And, it kind of goes viral inside a company. Michael Krigsman: Who tends to be your buyer? Who are the people that are actually making the purchase from Sprinklr? Ragy Thomas: Chief Marketing Officers, increasingly beginning to see CIOs, and if you’re a CIO, watching this show, sir, or madam, I’m not sure why you aren’t all over this. Your CMOs need your help, and you guys got to partner up. Michael Krigsman: Yeah. That’s a really good point. I think that certainly, the more sophisticated CIOs, the more innovative CIOs that I know have embraced … They see their role now, more and more, as supporting the customer experience of the entire organization, not just putting in software. Ragy Thomas: One hundred percent. They should be. They should be all over it. I mean, it’s like, I tell people, CMOs are managing a lot of technology, and they need help, right? CIOs are … You think of data like cash and currency. It used to be on-premise is under your control, it’s like stuffing cash under your pillow, so you know how to manage that when data is inside of your firewall. But now that you’ve put the money in the bank, the cash in the bank, it takes away the physical protection, but the compliance is security. The money management part: it should really be the CIOs helping the company to do this. Does that make sense? Michael Krigsman: Yeah. No, I think it’s very, very important, and historically, there was really a problem because you had that divide between the folks who cared about customer experience and then IT, which, you know, mostly cared about reducing risk. And now, when I talk to CIOs, I mean, it’s very clear to be in … I’ve heard the term, “enlightened CIO,” I’ve heard the term, “digital CIO,” “innovative CIO,” [etc.] If you’re not supporting the business with these things that we’re talking about, you’re going to be irrelevant. I mean, that’s my advice to CIOs. I talk to a lot of CIOs. Ragy Thomas: I second you. Michael Krigsman: Well, we have just a couple of minutes left. And so, [do you have] any closing thoughts or advice for brands? I know we spoke about this, but you talk to so many different companies. Michael Krigsman: What is your final advice for brands who want to do a better job creating that sense of humanity? Ragy Thomas: Yeah. I would say, please, please put customers first. We're all consumers. We're all customers. Please put customers first. I love the, you know, "marketing first," and "sales first," and "product first." No, no; please put the customers first for their sake, but also for your sake; for the sake of every employee that works for you. Because what happens is when customers aren't happy, it sets off a vicious cycle, like no one wants to pick up the phone, no one wants to go sell them more. And, things go south that you can't recover from. It doesn't matter how great your product is. And, you don't need to do it. And finally, we’re at a point where concepts that evolve, that if you commit to putting customers first, then there’s enough literature that you can use, and artifacts to get started on that journey, and hopefully, you’ll join us in being able to do that. Michael Krigsman: I love that! Great advice! “Put customers first.” What a great way to think about a company. Michael Krigsman: Fantastic. And your conference, you said, is being held on April 12th, I think you said. Ragy Thomas: April 10th in Nashville. Hit up any of your Sprinklrite friends for invites. 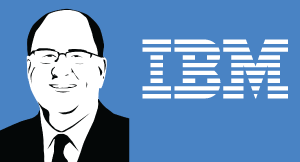 It’s really a whole bunch of C-Suite folks and the big analysts, the big system integration top leaders, and the technology companies like Microsoft, IBM, and SAP. 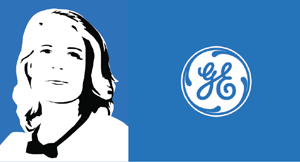 You have been watching Episode #221 of CxOTalk. Our guest has been Ragy Thomas, who is the founder and CEO of Sprinklr. Ragy, thanks a lot, and I hope you come back, and we’ll do it again another time. Ragy Thomas: Michael, thank you! Michael Krigsman: Everybody, we have more shows coming up. Go to CxOTalk.com/episodes to see our upcoming shows, and we'll see you soon. Thanks a lot. Bye-bye! Digital disruption is driving significant change in the consulting and outsourcing industry. As a result, business model change is a part of today's consulting environment. 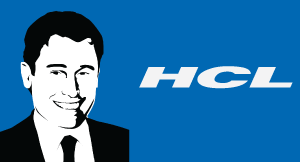 On this show, we talk with Matt Preschern, Executive Vice President and Chief Marketing Officer of HCL Technologies, a US$7 billion global information technology services company with 100,000 employees. 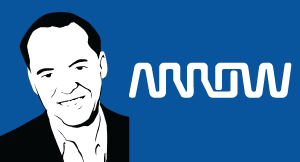 Arrow Electronics, an 80-year old, Fortune 150 corporation with offices in 58 countries and revenue of $23 billion. On this show, we explore the marketing behind this large company with Chief Marketing Officer, Rich Kylberg.